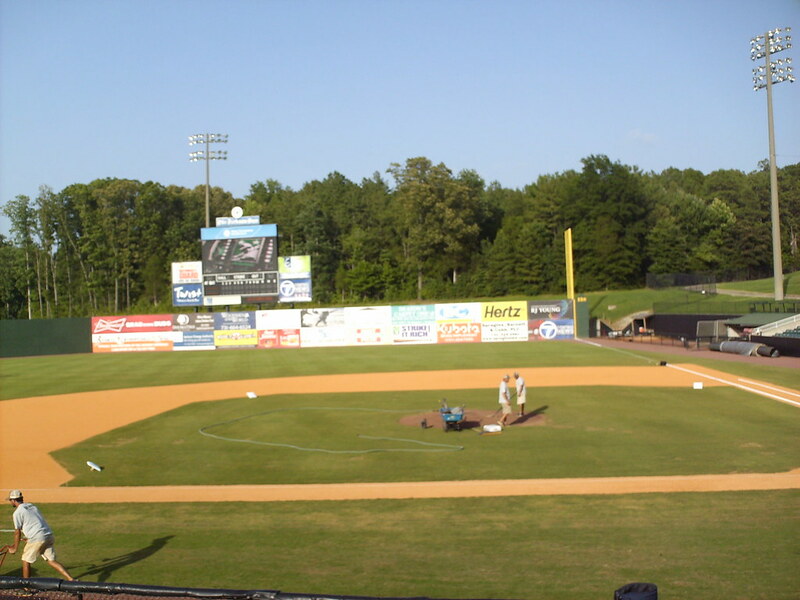 The view from behind home plate at The Ballpark at Jackson. 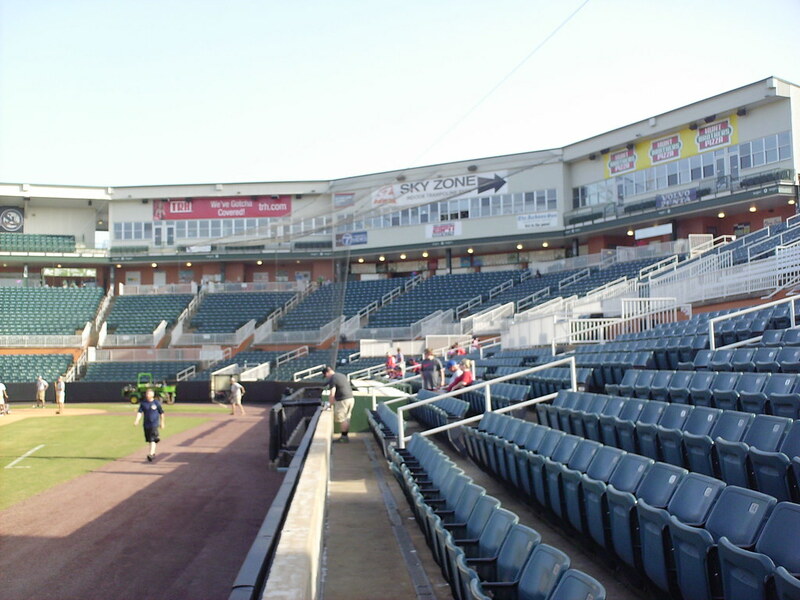 The grandstand at The Ballpark at Jackson as seen from the left field corner. 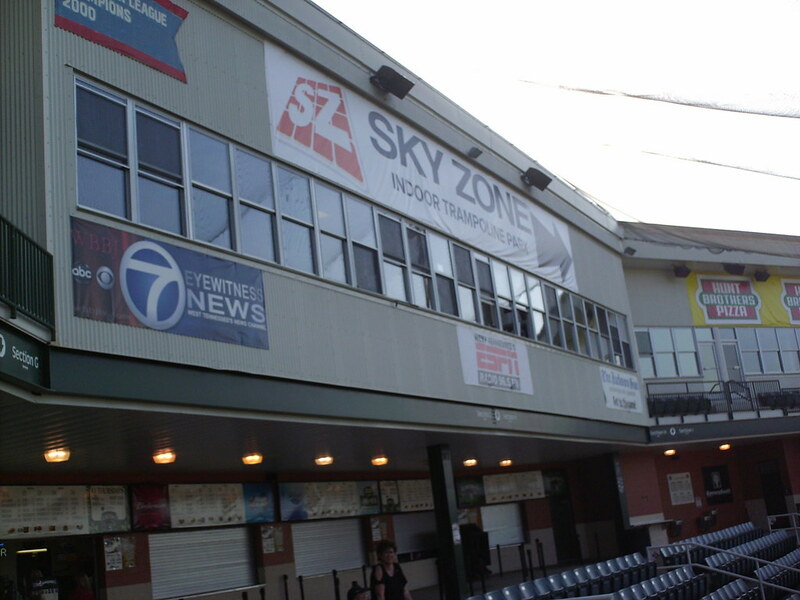 The pressbox above the concourse behind home plate. 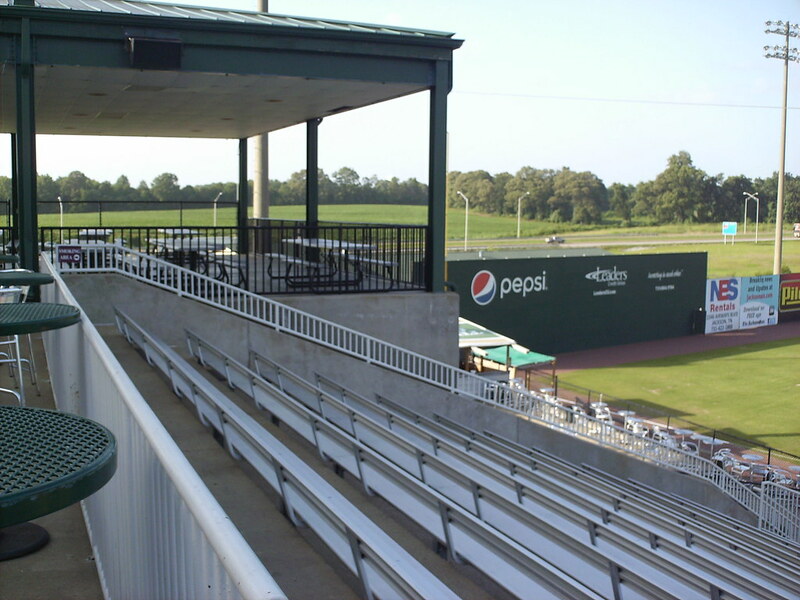 The steep split level grandstand as seen from the upper concourse. 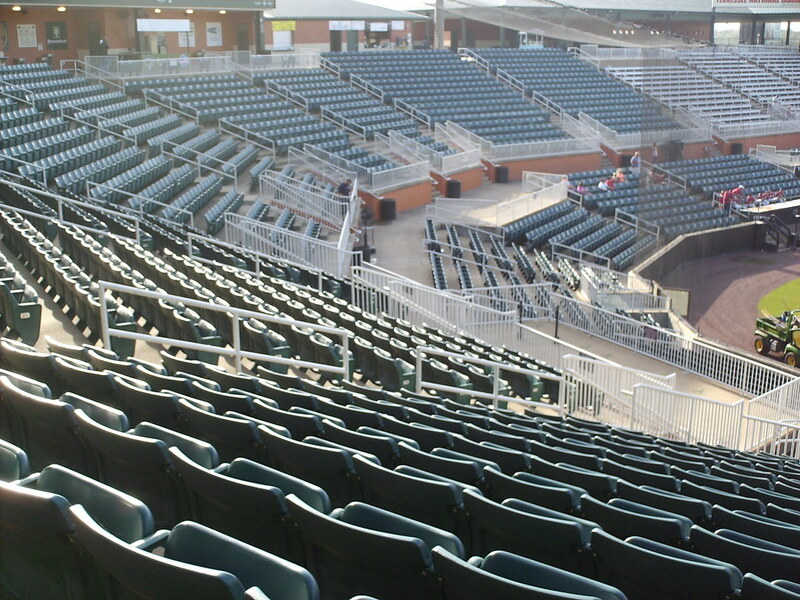 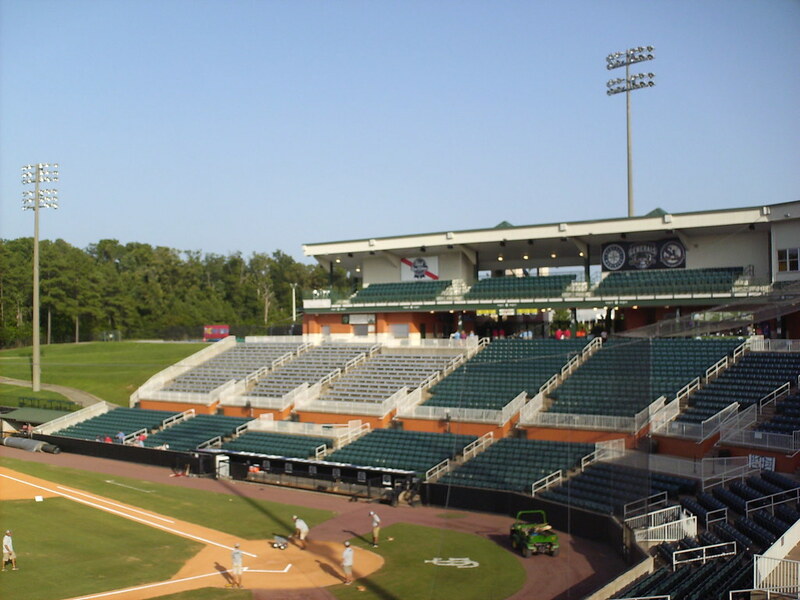 The park features second level seating on the first base side, with bleacher seats on the main level below. 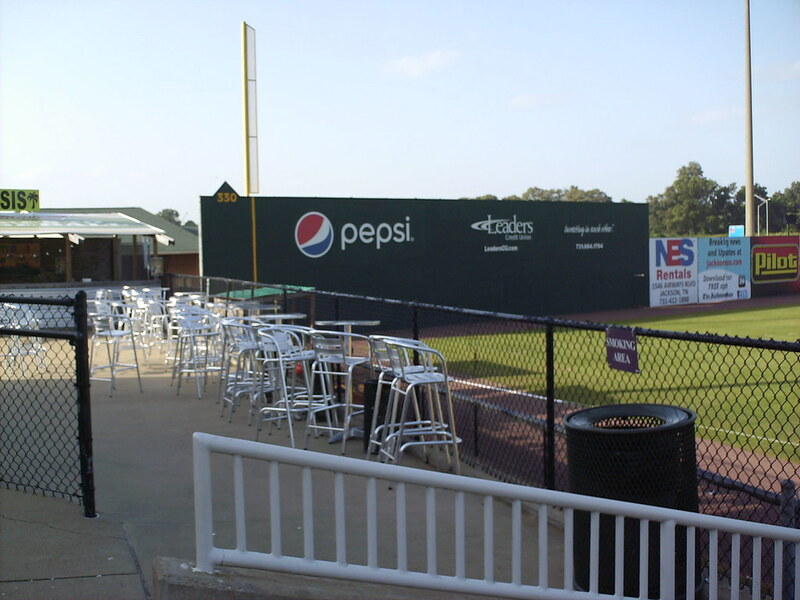 A covered picnic area sits next to the bleachers on the top concourse in the left field corner. 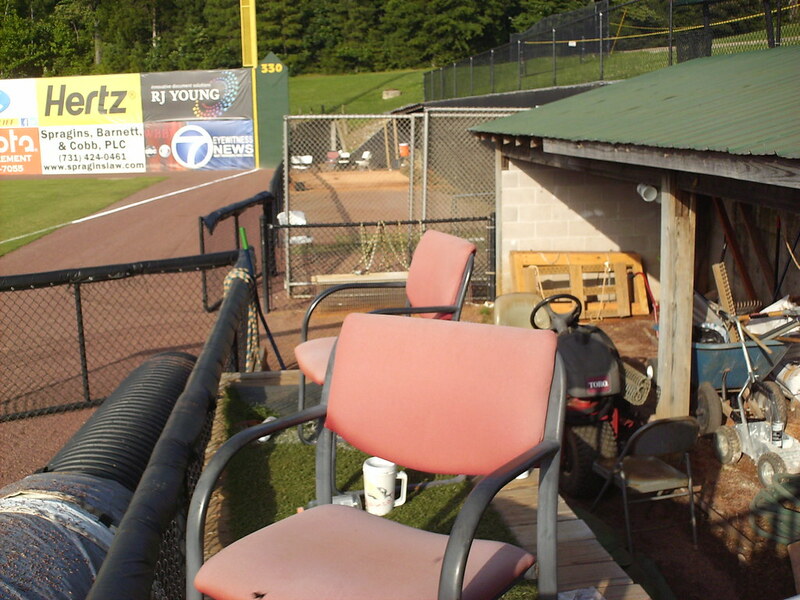 A tiki bar and group seating on the lower level of the left field corner. 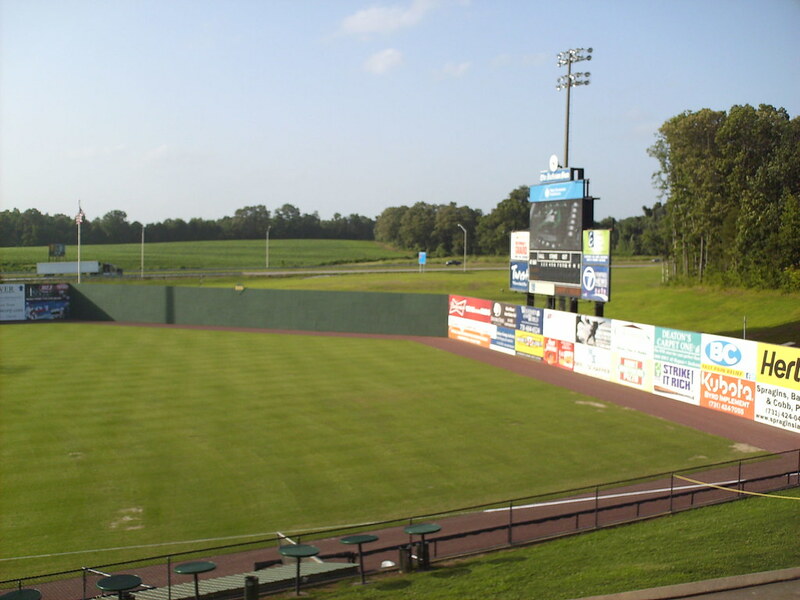 The bullpen and groundskeeper shed in the right field corner of the field. 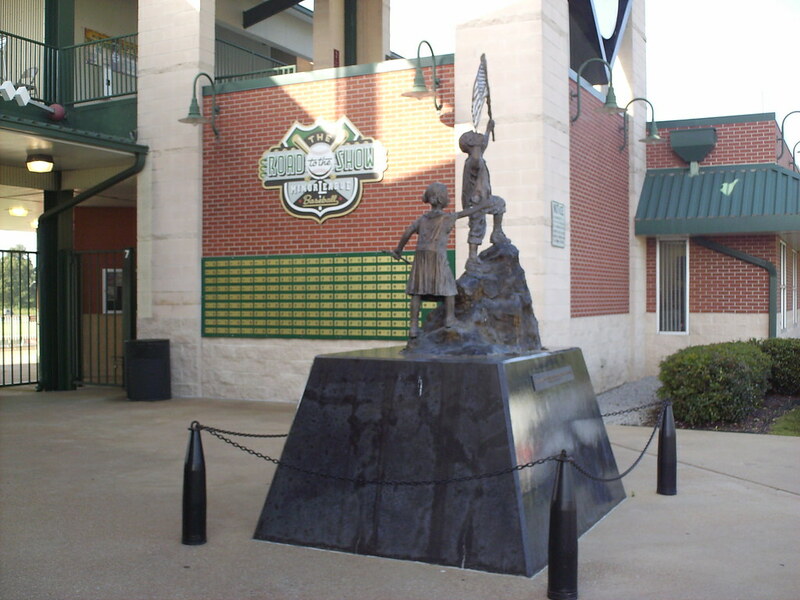 A plaque outside the main gate celebrates former Jackson players to make the major leagues, and a statue honors children of military families. 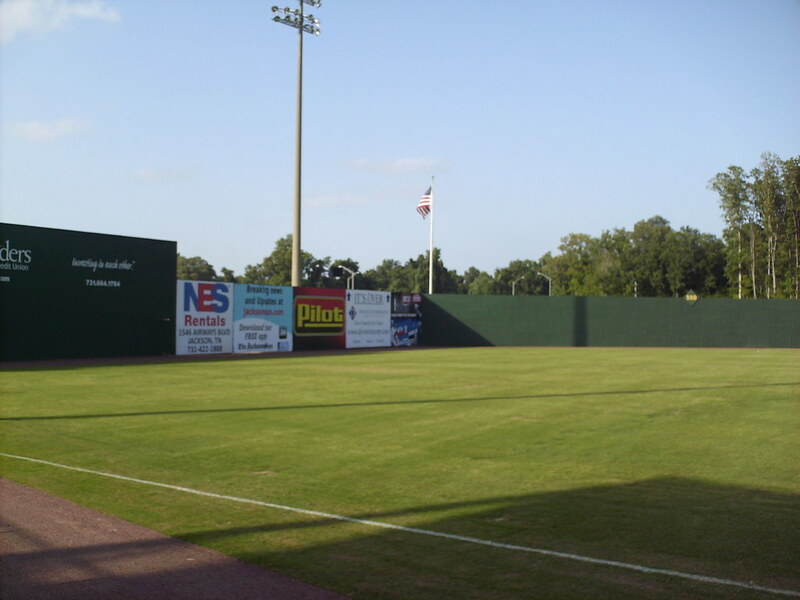 The left field wall is a tall, Green Monster style wall, and the fence makes a sharp corner in center field before making a small wave after the flagpole. 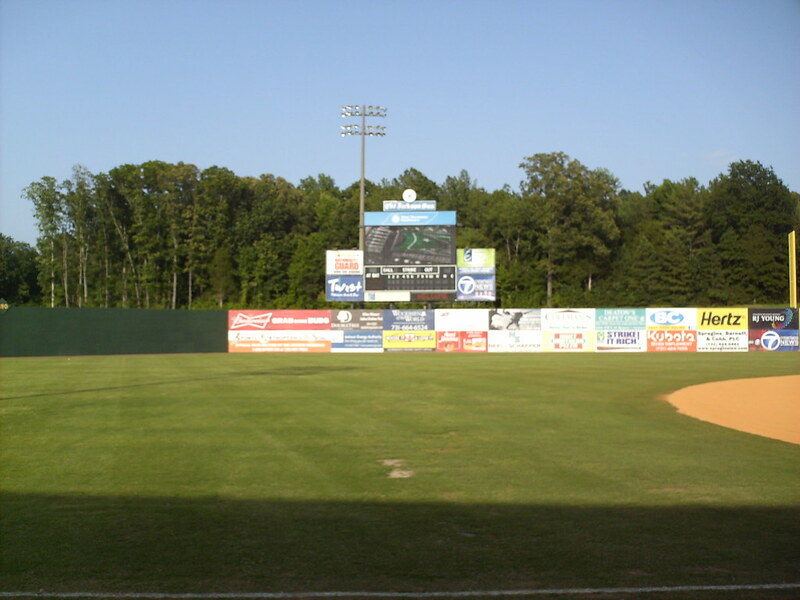 The scoreboard in right field. 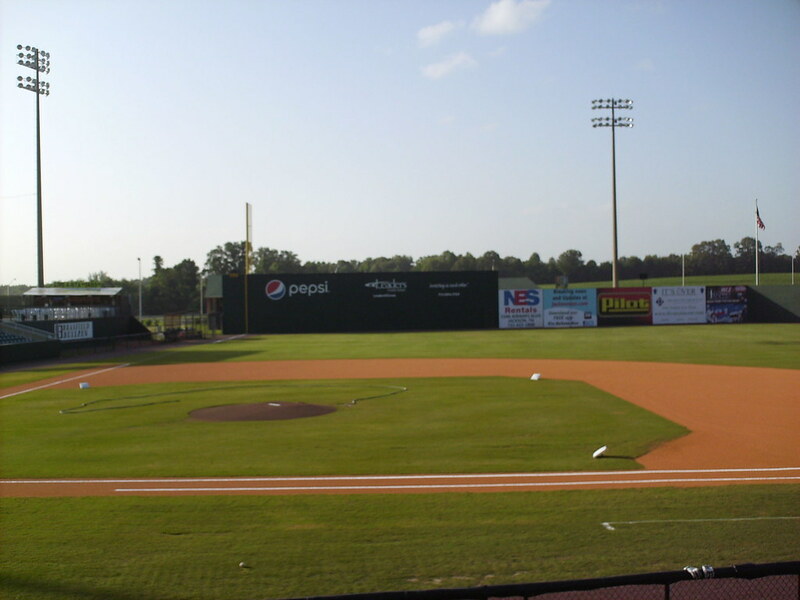 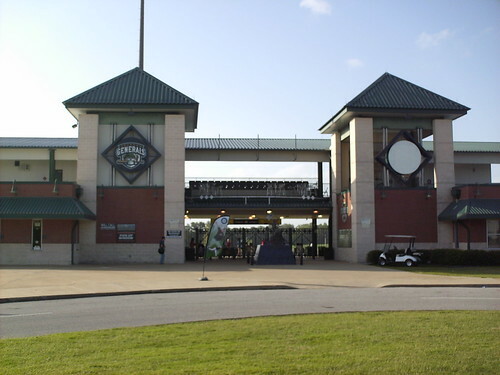 Interstate 40 runs right behind the outfield fence in left and center field. 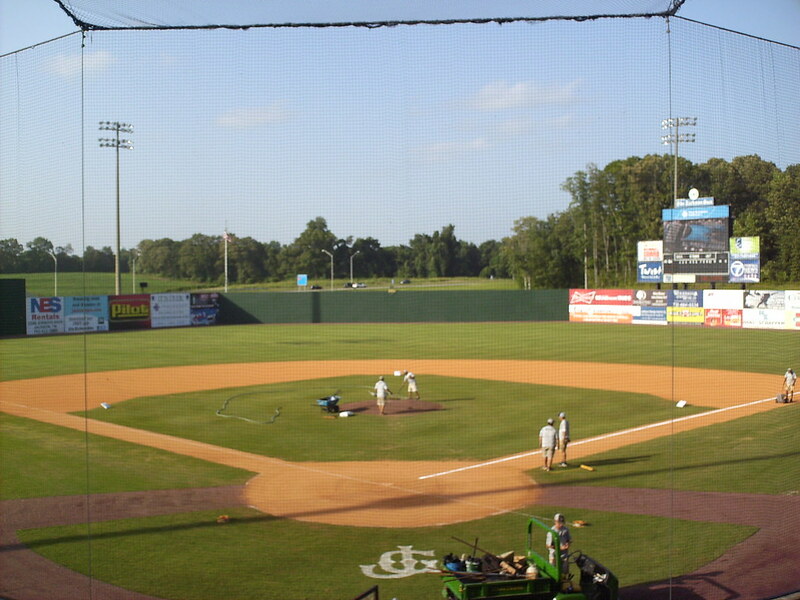 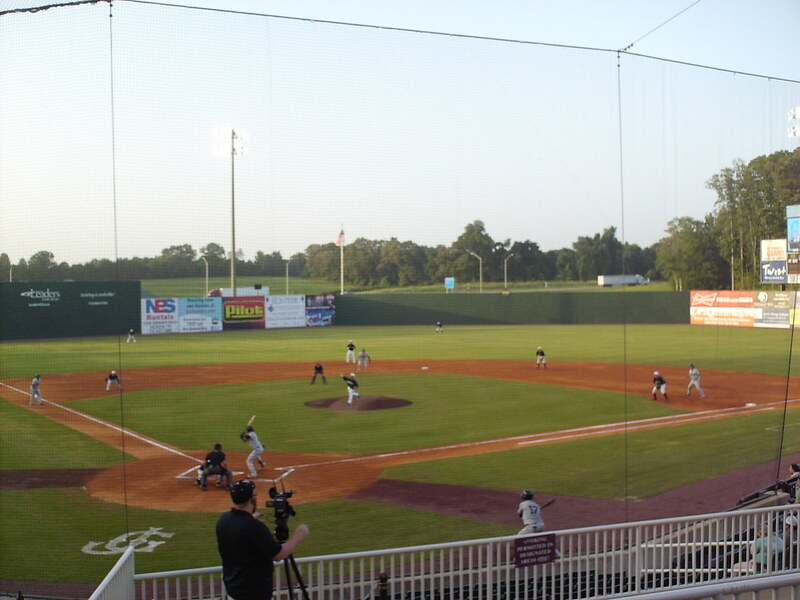 The Jackson Generals on the field during a game at The Ballpark at Jackson.